It’s a shame you never saw Atlantic City when it had floy floy. 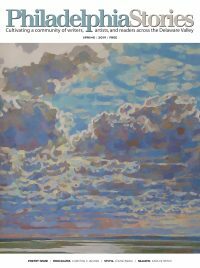 Dorothy DiRienzi has published in Friends Journal, Poetry Midwest, The Mid-America Poetry Review, Passager, MO:Writings from the River, and more. She was a runner-up at the Tucson Poetry Festival, 2005, 2010 and a semifinalist for Black Lawrence Press poetry prize, 2008. She has an M.F.A. in Creative Writing from Arizona State University and previously worked as an editor and indexer of medical publishing titles in Philadelphia, PA for 38 years.